A number of Democrat representatives indicated that they would not attend Netanyahu’s speech. Vice-President Joe Biden, who would normally sit behind an orating foreign dignitary in the legislative branch, would be busy traveling abroad on March 3, his office indicated. President Obama would not meet the visiting Israeli PM, the White House said. Pro-Israeli figures in US are advising against proceeding with the plan, saying that it would hurt Israel’s relations with the US, because it has become marred with partisan rivalries. “One needs to restart, and it needs a mature adult statement that this was not what we intended,” Abrahm Foxman, head of the Anti-Defamation League, a US-based organization fighting anti-Semitism, said in an interview published Friday in the Jewish Daily Forward. “It has been hijacked by politics. Now is a time to recalibrate, restart and find a new platform and new timing to take away the distractions,” he added. Foxman said the media frenzy around the speech has turned the entire event “into a circus” and that Netanyahu should postpone his speech until the controversy stops obstructing the message he wants to deliver. Similar calls came from the pro-Israel lobby group AIPAC and several former Israeli officials, according to an AP report. "The last thing you want is for support of the Jewish state to become the monopoly of one party," said Michael Oren, who served as Israeli ambassador to Washington until 2013. He added that he would have suggested postponing the speech until the annual conference of AIPAC, and event attended by many US lawmakers. Calls to postpone the speech also came from US House Minority Leader Nancy Pelosi, influential Israeli newspapers Haarez and Yediot Ahronot and a number of Israeli politicians. Yet the PM seems determined to go ahead with his plan. 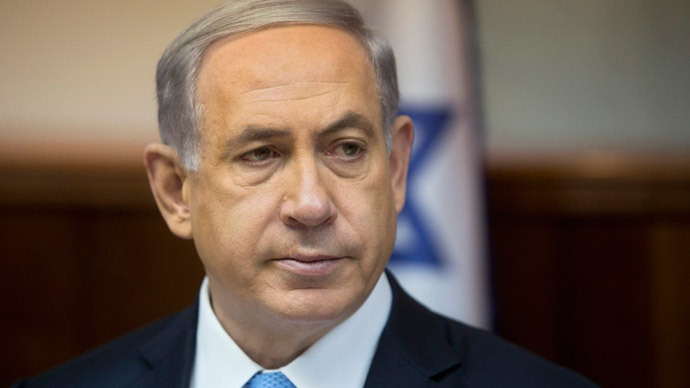 Netanyahu’s office insists that pushing back his visit to US is not an option due to urgency. The US-Iranian talks would produce “a bad deal” according to the Israeli PM, and he intends to prevent it. The negotiations are currently at a crucial step, with US Secretary of State having met his Iranian counterpart Mohammad Javad Zarif for the second time to discuss the nuclear program on the sidelines of the Munich Security Conference on Sunday. A March 31 deadline has been set for a nuclear deal to be reached. Israel accuses Iran of trying to build a nuclear weapon under a guise of pursuing civilian nuclear development. A nuclear-armed Iran is viewed as a most serious threat in Israel. Tel Aviv is concerned that Washington would sign for a deal that would allow Tehran to continue enriching uranium – which Israel fears would allow Iran to push for nuclear capability. Critics of Netanyahu, however, believe that his US trip and reluctance to avoid controversy in addressing the Congress is rooted in domestic Israeli politics rather than concern for Israel’s security. The visit would come just two days before a general election in Israel, and Netanyahu’s Likud Party is facing a tough run against competitors. Politicians like Isaac Herzog, chairman of the Labor Party and Leader of the Opposition in the Israeli parliament or former Foreign Minister Tzipi Livni said Netanyahu is endangering Israel’s ties with America for the sake of his ambition to keep his office. "This speech which was born in sin, as part of an election campaign endangers the security of the citizens of Israel and the special relations it has with the US," Herzog, Netanyahu’s prime rival at the election, told the media on Saturday. "With all due respect to his campaign, Bibi [Netanyahu] must lead as a patriot of Israel and not throw Israel's security under the bus of the election," he added. "This is not about Iran," commented for AP Alon Pinkas, a former Israeli consul-general in New York. "This is 100 percent about elections." The tough stance on Iran is overwhelmingly supported by Israeli voters, but not so the current cabinet’s domestic policies. According to Pinkas, Netanyahu is trying to obscure those issues by making Iran the major campaigning point. Washington claims to be keeping distance from the Israeli election. The White House cited President Obama’s desire not to be perceived as taking sides in the election as the reason he wouldn’t meet Netanyahu. At the same time both US Vice-President Biden and Secretary Kerry met Herzog on the sidelines of the Munich conference. Some Israeli media reported it as a sign of Herzog having the ear of Washington. The Israeli politician himself used the international event to again attack the prime minister’s speech plans. “I would never operate this way as prime minister,” he stated.